Big thanks to Tom Ham’s Lighthouse for inviting me to review their restaurant. All pictures are PoshJournal’s and opinions and viewpoints are based on our own experiences. Step 1: Take the 3 minute cab ride from the airport over to the San Diego Bay. 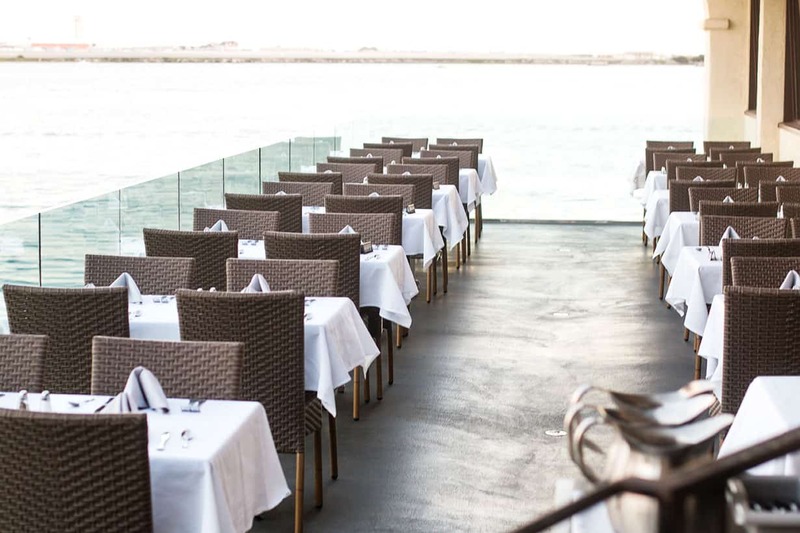 Step 2: Grab a seat at Tom Ham’s Lighthouse and enjoy the sweeping views of downtown San Diego, Coronado Island and the glistening bay itself. 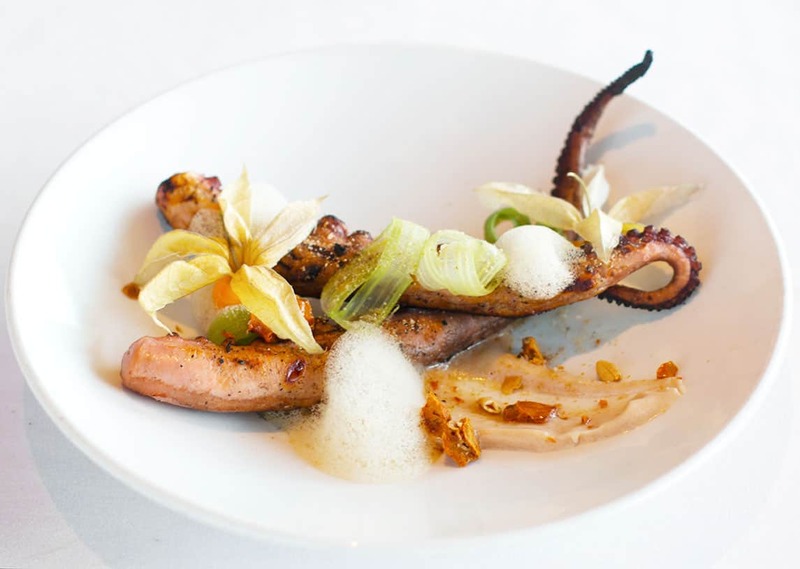 Step 3: Order up some of their heavenly seafood and other extraordinary dishes. Step 4: Savor every bite. And there you have it, four quick steps to pure bliss. Tom Ham’s Lighthouse has been a landmark restaurant in San Diego for over 40 years. You’ll know you’re at the right place as it is based in an actual lighthouse, nestled up against the bay in a jewel of a location. The commanding views are simply outstanding day or night, with the downtown skyline, bypassing sailboats and other bay activity to soothingly observe. The restaurant takes full advantage of this setting with massive windows and an outdoor seating deck, and especially after their 2013 renovations there isn’t a bad seat in the house. 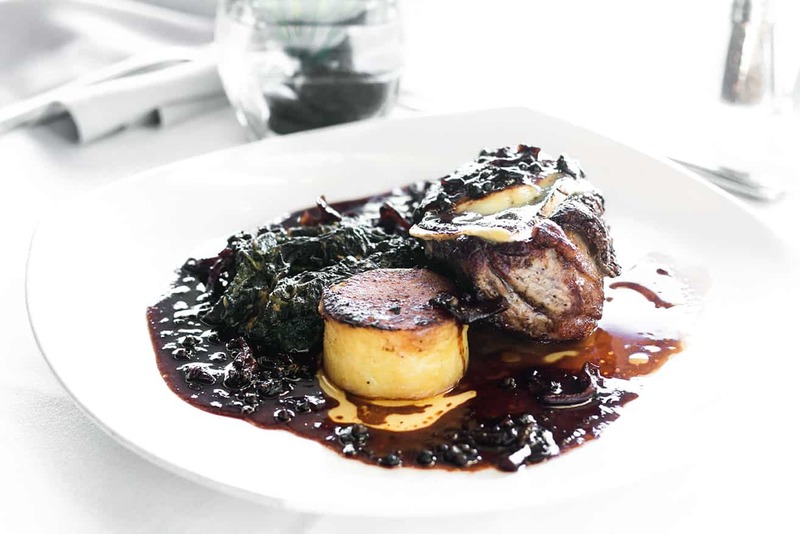 We have been fans of the restaurant for many years, but noticed that since the remodeling took place the menu and food itself were both elevated to new heights. 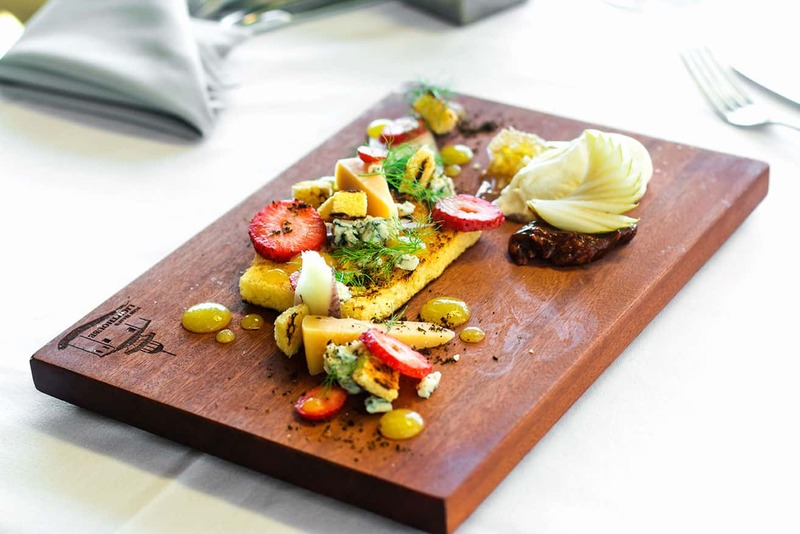 Much of this is due to the restaurant seriously upping their game by hiring Executive Chef Kyle Kovar and an overall new crew that really modernized the food, which could best be described as Local Mediterranean. 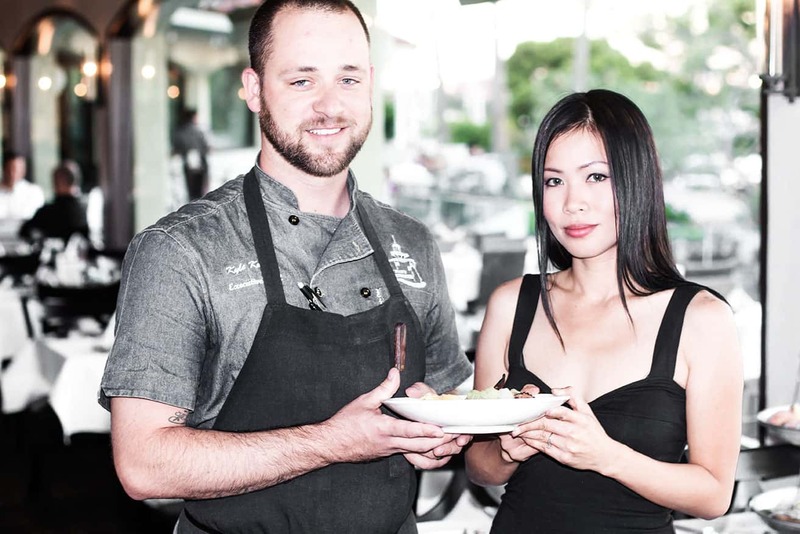 Chef Kyle broke away from his artistic craft to speak to us about their approach. One thing he stressed is that they don’t base a dish off of the protein or the vegetable, but rather make the entire dish the focal point. After eating at Tom Ham’s you’ll see this makes perfect sense as the tastes are well rounded and intelligent. A cheese plate at another restaurant is just that, but at Tom Ham’s it is a triumph of flavors: sheep cheese, goat cheese, blue cheese, an amazing chutney, champagne mango liquid gel, fennel fronds and even a corn an scallion ash. He also spoke of the premium ingredients being locally sourced, from places such as Point Loma Farms for much of their organic fruits and vegetables. The food that cannot be sourced locally have an equally impressive path. For example Chef Kyle spoke of the Peruvian scallops (on the shell) which are about as fresh as you can get. Their texture and buttery taste are some of the best I’ve ever eaten. 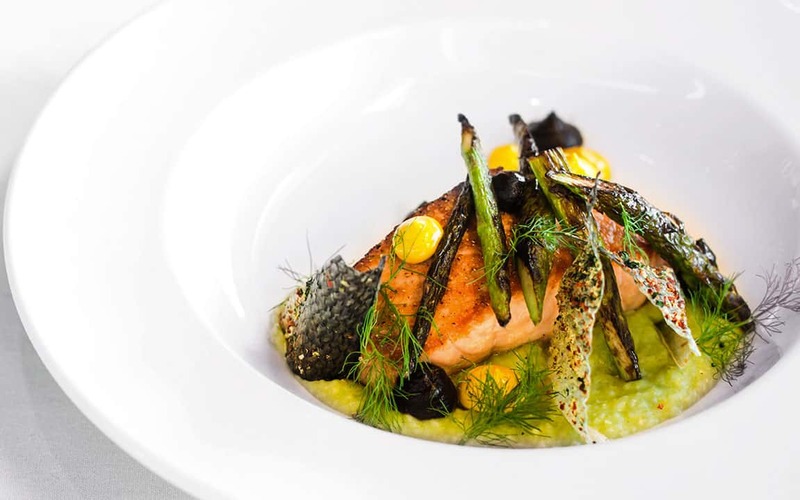 A popular seafood dish is the Seared Wild Caught Salmon. 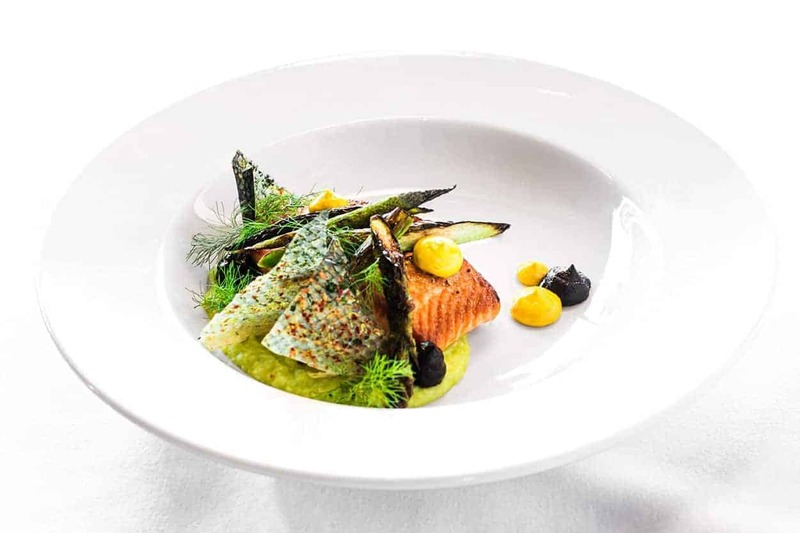 The presentation is simply beautiful with salmon skins, fennel saffron aioli, black garlic puree and asparagus. The salmon rest atop an asparagus infused white grits with burrata cheese. Chef Kyle mentioned that it isn’t just their selection of the best seafood, but also their inspection process that sets them apart. Their goal is to make sure every plate of every dish has the same excellent quality. This is tough but necessary when working with seafood like oysters, which are extremely fickle. At Tom Ham’s they check to make sure each is completely clean and has the perfect freshness. To be honest in all of my times going to Tom Ham’s Lighthouse I had only ordered seafood entrees. I’m sure this is true of many customers, but I urge you to try out their Prime New York grass-fed steak, with a pepper mushroom sauce and mustard greens that are sautéed to perfection. I enjoyed this so much, the combinations on the plate would be a tour de force for a fine steakhouse and really shows off the restaurant’s versatility. I love that Tom Ham’s has been family owned and managed ever since it opened in 1971. We were fortunate enough to meet one of the General Managers, Andy Baumann, who is the grandson of the late Tom Ham. Andy spoke with such pride in telling the story of his grandfather and that of the restaurant, then and now. Andy’s personality shines and also sets the tone for the friendly service from the hostess to the servers, to those working behind the bar. The atmosphere is anything but stuffy, and feels welcoming whether someone is there for a big anniversary or just for an impromptu get-together with friends. – A lot of places use chicken stock on some of their items. Tom Ham’s uses a superb fresh vegetable stock. – There is a ton of free parking. 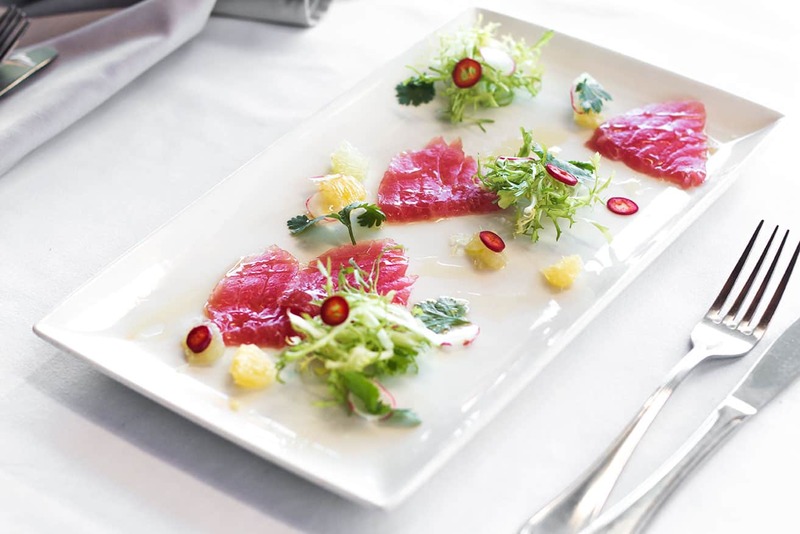 – Tom Ham’s is a sought after location for weddings and other gatherings. They have indoor and outdoor reception areas, all with the same pristine food and views. – The bar has over 30 craft beers on tap, including many from San Diego’s flourishing breweries. A lot of travelers take a taxi to Tom Ham’s Lighthouse immediately before or after a flight. I’m guessing those that stop by the restaurant after flying into San Diego make it a point to also pay a visit on their way out. What a perfect way to round out a vacation. This food all looks so amazing. I love seafood, especially scallops and crab. I am dying for some now! Me too, I can always go for seafood! I bet you’ve had some great seafood up in Mass. That sounds like a fantastic restaurant. I love the atmosphere, and that seafood looks amazing. Wow that place looks like it was taste out of this world. The view, the food and the classy atmosphere sounds like a match made in heaven. It’s amazing there, they really hit on all points that you mentioned. This place would be heaven to my hubby! He loves seafood, specially lobster and scallops. Thanks for sharing your experience. It really makes me want to go there right now. Has he ever had scallops on the shell? I hadn’t before a couple of years ago. If you’re ever out in San Diego make sure to take him there! I would definitely have to stop here with my daughter. Everything looks delicious and it’s presented beautifully. Holy smokes, all your photos of the food are absolutely breathtaking! I went to a seafood spot for the first time, early this spring. Except a little drive from San Diego (though not TOO far – since it was in San Francisco). It was freakin’ phenomenal. Lol. The plating is so beautiful and I would love to experience the food for myself! It looks really awesome and Chef Kyle looks very dedicated. All the foods were beautiful plated and they look delicious, too. It sounds like a great place to dine. Everything looks so pretty, except the octopus. I don’t think I could ever try that although I know some who things it’s yummy. Thanks, we tried really hard to take pictures that would do the food justice.. it all looked amazing. Oh my goodness! This looks like a breathtaking place! 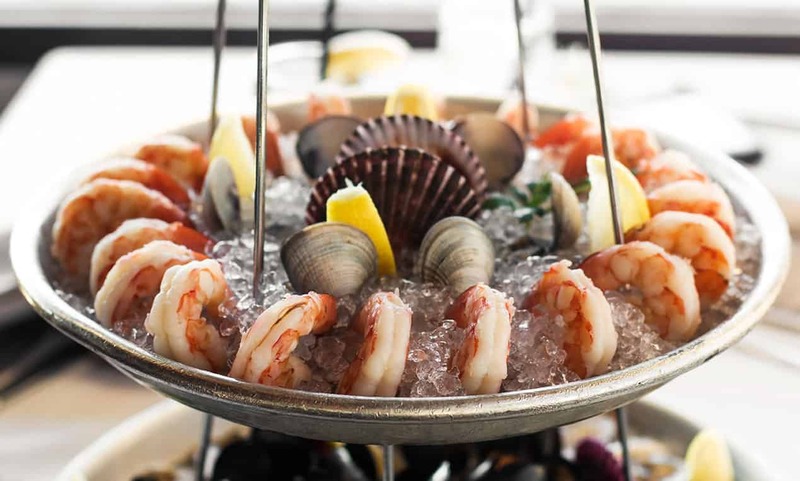 I love seafood options like this and really enjoy the richness of a restaurant like this! I agree, I think breathtaking is the perfect word for Tom Ham’s Lighthouse! I would love to head out there right now. What a beautiful view while eating and tasty looking food. I want some right now! One of the best views in the city! I love seafood. Everything looks tasty and mouthwatering here. I would eat seafood every day if I could. If I’m ever in the area I am definitely going there. It looks amazing! You are right, those are some gorgeous views, a gorgeous restaurant, and some super yummy looking food!! Now I’m hungry! LOL! You sold me at the cheese plate. I’d love to visit and try the food. The food at Tom Ham’s Lighthouse looks so delicious. I will have to try it the next time i am in the area. I don’t eat seafood often, but this looks so good. If I’m ever in the area, I will have to check it out. These are my kind of food. Bioth daughter and U love seafood so we wil be at home on this place. I’d love to eat there. The salmon looked amazing! That salmon was amazing. I didn’t want to eat it as it looked like a piece of art! I’m not a fan of seafood that much but would love to try other dish from them. I’m sure there’s a lot to choose from. When I was there one of the employees said that their wife or girlfriend was vegan and eats there all of the time! I need to go back and showcase more of their non-seafood dishes. This food looks so delicious! Makes me want to find a way to San Diego so that I can try it. Yes, I hope you make it out to San Diego for some amazing food. That food and presentation look incredible! Adding it to my list now! Yes, they definitely take pride in their work there at Tom Ham’s Lighthouse. Thanks for adding it to your list! looks yummy. I love seafoods! I don’t eat seafood as I am a vegetarian but this looks divine. Well presented too! Looks like a fantastic restaurant. I love all the foods. The food is speaking for itself! your photos are very vivid and I am hungry now. Wish to visit that kind of restaurant soon. 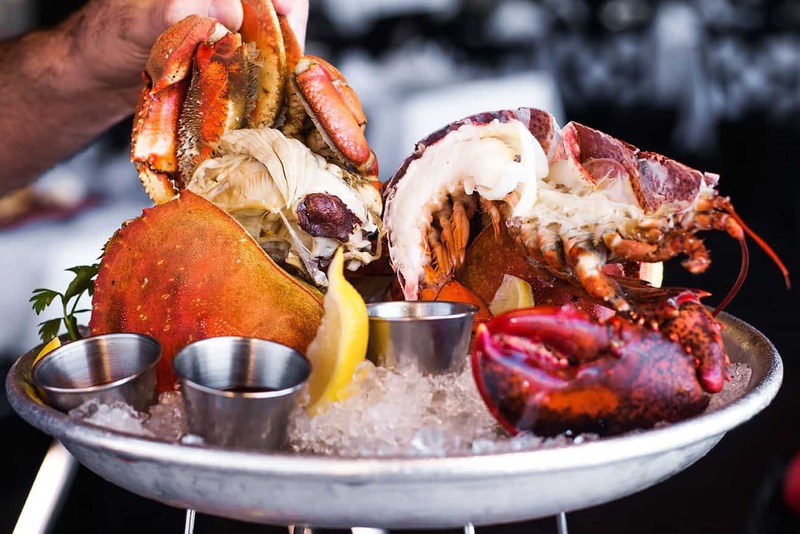 This is some delicious looking seafood, I definitely will check out this restaurant when I am back in the states. There are so many places in America that I want to visit. The Prime New York grass-fed steak just looks so yummy! This looks soooo good! I had delicious seafood out in NYC, I think I need to check out the west coast seafood. These are all looks so yummy and delicious. Wow, amazing pictures! My husband would be in heaven with all of the seafood. that food almost looks to good to eat! Your photography is so stunning! I love the lighting. That food looks seriously amazing. Yum! 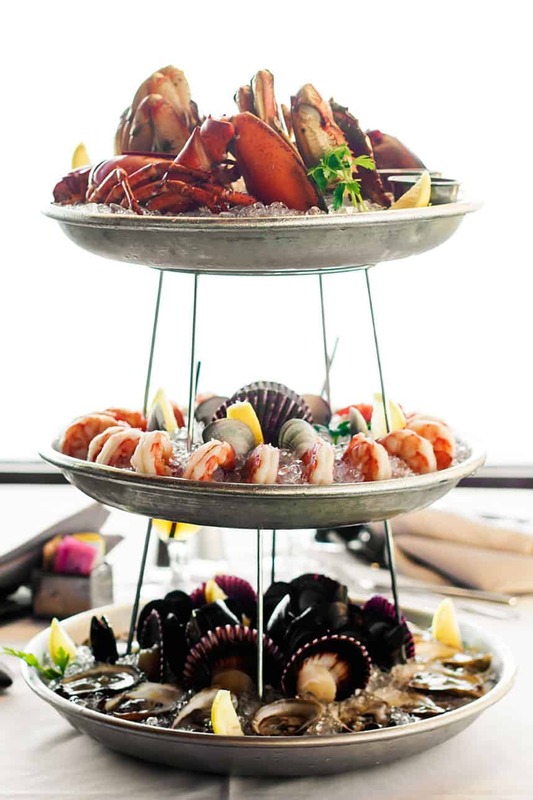 Wow that seafood tower looks AMAZING! And the location looks like it can’t be beat! Wow. The food looks amazing. Beautiful restaurant too. Your pictures are amazing… It makes me want to go there so much. Never been to San Diego but it was on the plan for our next trip to the states. I will definitely be taking your advice because it just looks magical and relaxing… wish I was there now! Seems like such an amazing place to eat! The food looks spectacular and the dining looks like “fine” dining. I’ll have to look this place up the next time I’m in San Diego. That looks like a very fine restaurant. The many choices and amenities make it really a great place to try. I would love to have a meal there with the seaside view. The seafood also looks really delicious and really presented well. I am eating here next time I visit San Diego!! Stunning photography and food styling. Yum! The food looks so yummy. I’m going to try eating there very soon. Good food and a good place? What more can you ask when you’re around Coronado Island? It’s so beautiful! I love exploring San Diego whenever I visit so this is definitely on the list for the next time I visit. The presentation and the food itself looks amazing and it seems as though they put a lot of thought and consideration into the preparation of the food. How great that its only a few minutes away from the airport. This looks like a great place to enjoy a seafood meal. I absolutely love seafood! The food looks amazing as does the atmosphere! I’d love to be able to go one day! Wow your presentation of this is amazing!! Love it! I want to eat here so bad! The food looks like art- so beautiful! wow that all looks so incredibly delicious! Would love to try! What a great look place and food. Must check it out. OMG my mouth is watering! I would love to try this place out just wish it wasn’t so far! My cousins live in San Diego and next time I visit I’m sure I can have them take me! This is a destination eatery! The views are amazing, but the food looks just as incredible. 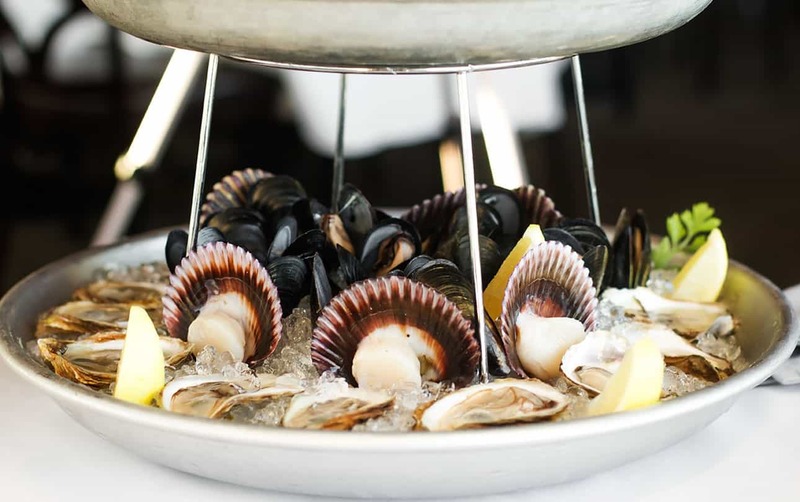 I love mussels and scallops…and that they try to source their food locally as much as possible.